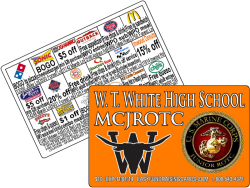 fundraising discount cards can save the day, as they’re super profitable, practically sell themselves due to the perceived need and value of the customer, and require very little work on your group’s behalf. Simply order the cards and begin selling when they arrive – which brings us to another point. You can sell these cards anywhere and everywhere because of their easy portability. Just tuck a few away in your wallet, purse or pocket and you’re ready to roll.